The car battery is one of the most important components under the hood. It must provide the electricity to start your car and power your accessories. Without a working battery, you’re stuck. You should have one of our ASE-certified technicians inspect the car battery as part of your next inspection. Heat, cold, and temperature swings can affect the battery’s performance, so check your battery at the change of seasons (such as summer to fall!). Between routine inspections, periodically check the battery yourself at home. Look for fraying cables, corrosion, and white or green powdery substance on the battery itself. Battery acid is very corrosive. If you find evidence of a leak, including the powder-like corrosion at the terminals, bring your vehicle and battery into our shop at your earliest convenience. Our technicians will inspect the battery to determine if the corrosion can be cleaned and the leak fixed. 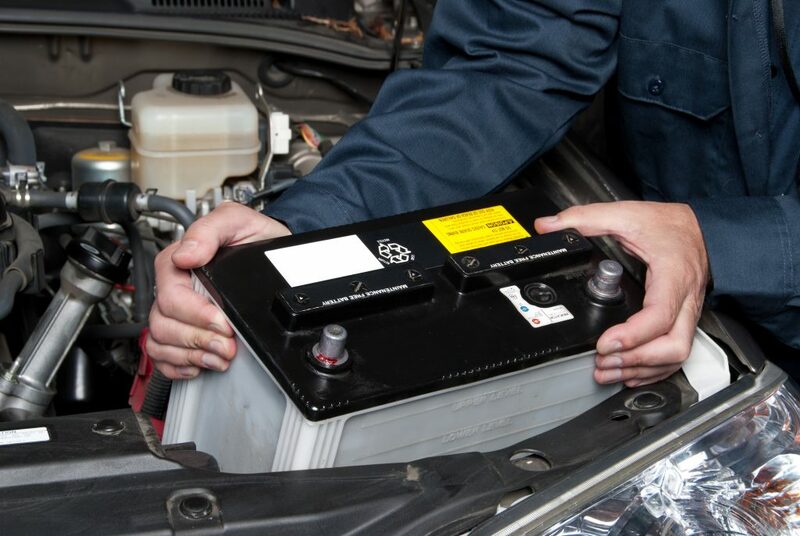 If the damage is severe enough, your vehicle may be due for a new battery. Even young batteries can be damaged in the summer heat, and cold weather is hard on the battery. Keeping track of your battery’s age, watching for warning signs, and regular inspections can help you ensure your vehicle has the power it needs to keep you safe on the roads in Aurora.